I often get confused with different naming methods on yarn labels and want to set some definitions straight. This is especially true when I find that some brands use names/types and numbers interchangeably but I don’t know what is comparable to what?! YARN TYPE: Just the common commercial name given to different weights, usually listed on the label but may not always accompany a number. WRAP METHOD: A practical way to deduce the weight of a random yarn (maybe unmarked from a thrift store or hand-me-down yarn) . 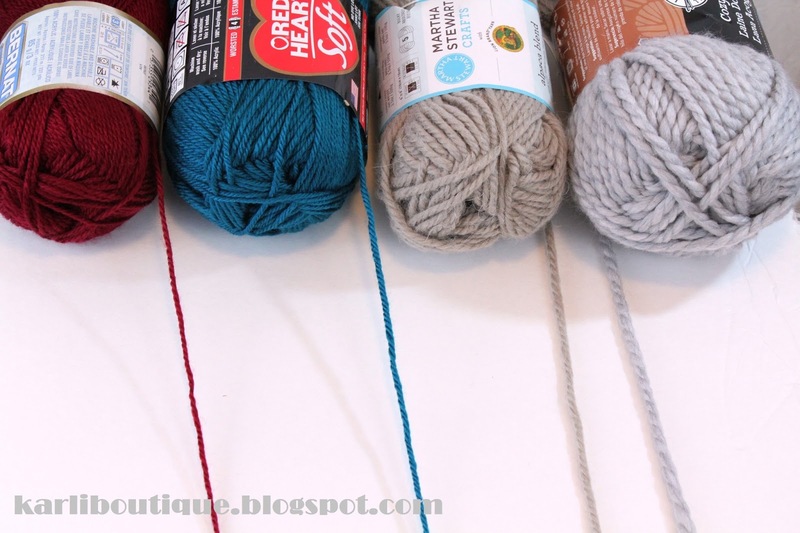 String/wrap the yarn around a ruler or the straight edge of a crochet hook. Ensure the yarn is flat across the spirals. 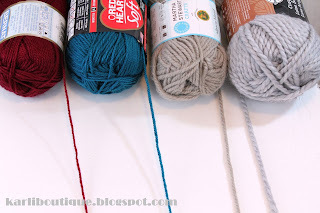 Push the yarn together to eliminate spaces and gaps. Make sure the wrap is not too taut or too dangly and loose. Measure how many “spirals” span 2.5cm or 1 inch. The WRAP PER INCH (WPI) can help you identify the weight of an unmarked yarn. *"Worsted": Is probably the most common yarn type you will come across in patterns. Its medium weight is versatile for a range of textures and gauges. It's most commonly used in creating wearable items in general. The term worsted is derived from an English village in Norfolk, Worstead, which was a major yarn producing centre in the 12th century. In modern times, worsted usually refers to tightly twisted woolen yarn spun from long-staple wool. **”Sport”: actually has nothing to do with gym time or athletic endeavours. It usually means the fabric created is about as thick as the usual weight attributed to women’s sportswear. Sport weight is popular for thinner sweaters. And yes, there is a Craft Yarn Council! "The Craft Yarn Council (CYC) represents the leading yarn companies, accessory manufacturers, magazine, book publishers, and consultants in the yarn industry. For more than 25 years the Council has sponsored a wide range of promotional and educational programs, including its highly acclaimed Certified Instructors Program and its popular Knit-Out and Crochet events, which offer a meeting place for the nation's knitters and crocheters." Well, I'm glad someone is out there regulating all this yarny business!! Welcome to the blog world. I love the items you have in your shop. Please feel free to come visit me at melsdaisypatch.blogspot.com. Thank you for visiting! The blog world is very vast and there is a lot to learn...eeeeek!